Photo courtesy of Rory Hartley. In 1969, my grandfather built a log cabin in Featherville, a small town in central Idaho. The cabin overlooks the south fork of the Boise River and its porch is, in my opinion, one of the pleasantest places in which to squander entire summer afternoons. I sit on the cabin’s dusty wooden porch and try to read, though I am often distracted by the swooped flight of the osprey that’s built its nest on the opposite river bank or the low hum of a hummingbird hovering just over my head, suckling from a freshly filled feeder. Each year, I look forward to hanging the feeder. The hummingbirds arrive minutes after I’ve hung it, usually in rotating quantities of four or five: copper and shimmering; pale, silken beige; emerald and ruby-throated. I admire their slender necks, their Lilliputian black feet. They chatter on high pine branches, dive-bombing each other with their tails flared. Evolution has granted them more personality per centimeter than any animal I can think of. I watch them with wonder, and try to memorize the buzzing rumble of their wings to recollect on a snowy winter’s day. They speak to me of joy. 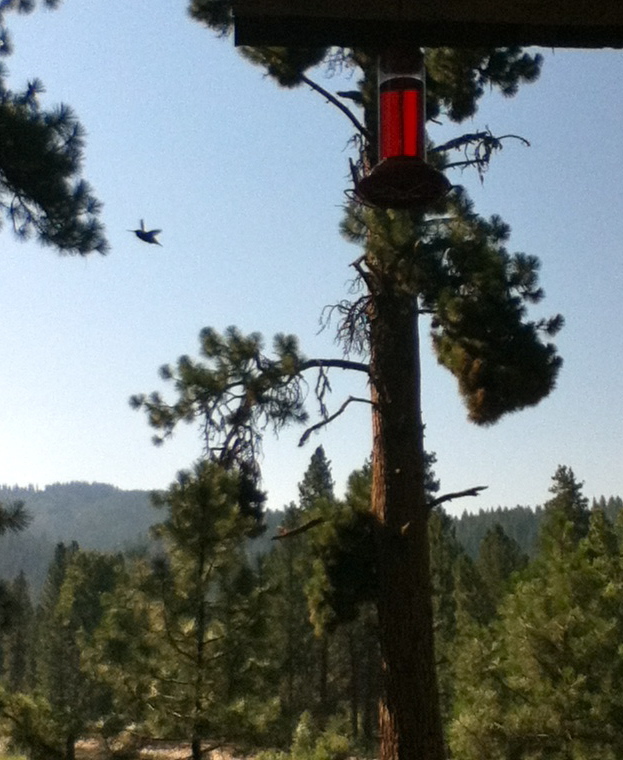 I was particularly glad to see the hummingbirds again this summer, because last year the cabin came uncomfortably close to burning down. Someone flipped their four-wheeler on the dry tinderbox of Idaho’s mountains, and the heat from the exhaust pipe inadvertently sparked a forest fire that threatened thousands of acres and hundreds of multi-generational family homes and businesses. For weeks, fed by fiery sparks of grief and dread, I awaited the inevitable news: Sorry, ma’am, the fire claimed your family’s cabin. We tried our best, but in the end there was nothing we could do to save it. September was a long, hopeless month. I’ve been coming to the cabin since I was a baby. As a child, I didn’t realize that a manmade structure could assume a living, breathing identity, though in my experience it has. I can’t fathom my family’s history – or myself – without the cabin: its pale pastel walls, like an osmotic tonic; the scratchy moss green couch; the brown checkered linoleum and mismatched rugs; the remnants, relics, and artwork collected during my grandfather’s medical career in China and Africa. These details are enfolded into innumerable Moris stories and memories. I can’t imagine a summer without this particular porch or hummingbird feeder. Ultimately, the awful news never came. Firefighters wrested control of the flame as it hovered on the edge of evacuated towns, leaving residents their homes and livelihoods in tact… for now. 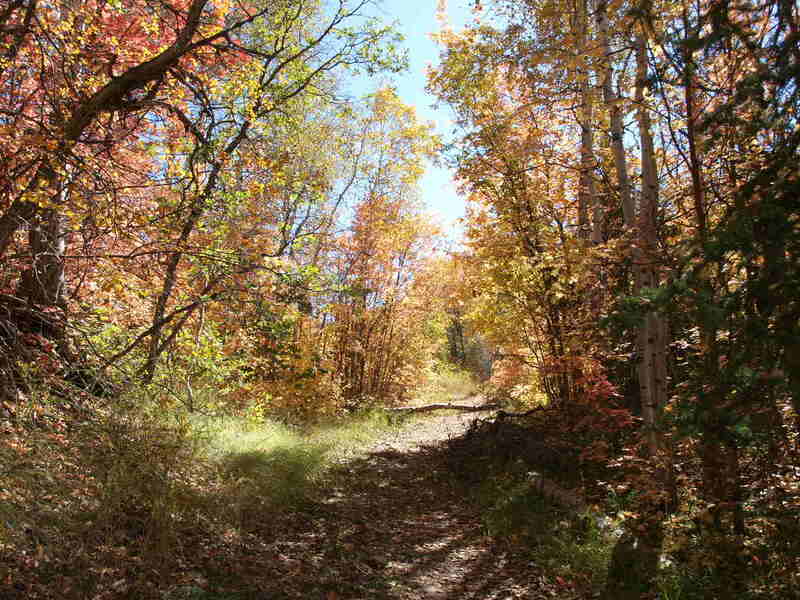 The relief, however real, hasn’t eradicated my dread over the cabin’s impermanence or the irrational rage that flares each time a four-wheeler rides past the front porch. This temporary reprieve tastes of tarred ash. My riverside musings are a little heavier this year, sagging under the weight of erosion and lost tree limbs, but I take solace in admiring my spritely hummingbird friends. Now more than ever, I hold tight to the sight of them to help sustain me through the next long year. I pray this won’t be my last batch of hummingbird juice. Bring water to boil in a medium saucepot. Remove from heat when water starts to boil and stir in the sugar. Mix well to dissolve the sugar. Add red food coloring – a few drops should suffice. (This is an aesthetic choice. My aunt doesn’t color her hummingbird juice and she experiences a moderate turnout. I attribute my heavy traffic to the red food coloring.) Let cool, then transfer to a glass feeder. Hang feeder in a conspicuous outdoor spot. Enjoy.